Abby the Librarian: Welcome Back, Grace Lin! Abby the Librarian: I love the artwork that accompanies the story in both STARRY RIVER and MOUNTAIN. How do you decide which scenes you will illustrate? 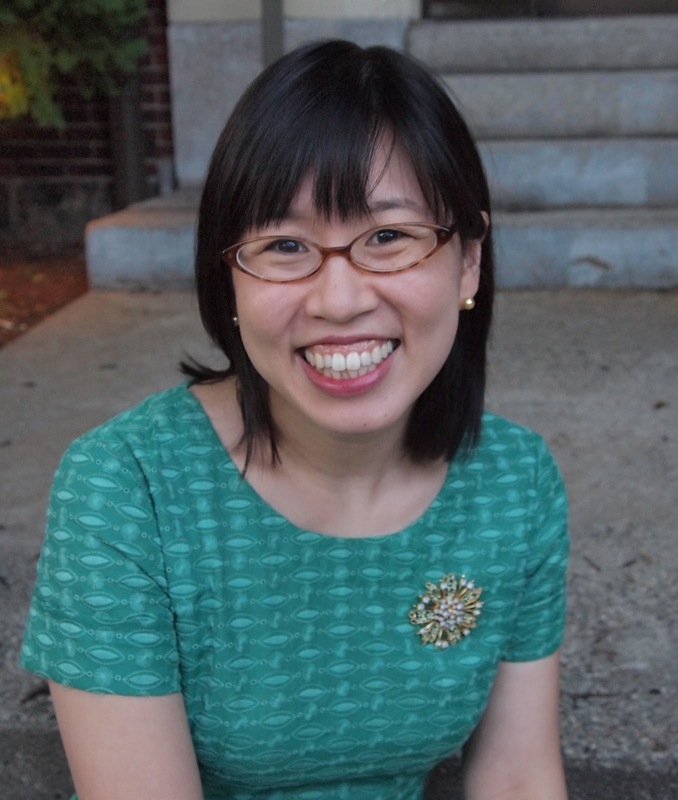 Do you have a vision of what the illustrations might look like first or do the words come first?Grace Lin: Very rarely does the art come first. While I write and think of ideas, images to float in and out but I never put pencil to paper until the writing is done. Choosing which scenes to illustrate is a mixture of which of those floating images I see most concretely and where it falls in the timeline of the story. AtL: Winning a Newbery honor for WHERE THE MOUNTAIN MEETS THE MOON was a life-changing event. How did that affect how you approached writing its companion book STARRY RIVER OF THE SKY? GL: Well, it was intimidating. Now, I knew people would be expecting something “really good” so there was a lot of pressure. On the flip side, there was also a kind of pleasant excitement though, too. I knew that whatever I wrote would have a larger audience than anything I’ve ever written before, it would be shared on a greater scale than what I’d experienced in the past. And to an author who publishes that is what you hope for. I knew it was an opportunity not to squander, so I tried to write a book that I would be completely proud of, done to the absolute best of my ability. AtL: When you were writing and publishing WHERE THE MOUNTAIN MEETS THE MOON, did you already know that you wanted to write a companion book? If not, how did you decide to write STARRY RIVER? GL: When I wrote WHERE THE MOUNTAIN MEETS THE MOON, I didn’t think about a companion book until after it was finished. That’s because there were so many stories that I loved that just didn’t fit in the book and I could already see the whisper of a new thread tying those together. I wasn’t sure if I could do it, but I wanted to try. AtL: I'm glad that the desire to share those stories led to another book! Were the stories in STARRY RIVER inspired by items you found in your research or stories you may have heard from others? GL: Both! Many stories I had read or had heard when I was younger, especially the Moon Lady stories. And others I more recently researched. Interestingly enough, the more I researched the more I discovered different accounts of the stories I thought I already knew. Obviously storytellers from ancient times have been doing what I was—adding, embellishing and creating new versions of the old legends. AtL: Story plays a very important role to each of the characters in STARRY RIVER. Obviously, story is important to you as an author, but how would you say story is important to you in your everyday life? GL: I think story is important to everyone in their everyday life, sometimes people just don’t realize it. A couple years ago, my friend's grandfather passed away and at his funeral, my friend heard for the first time about some his grandfather's experiences in WWII, how he had been in a Polish prison camp, how he escaped from the Nazis. These were things my friend had never known about his grandfather and he realized with his grandfather's death, that these stories--his grandfather's stories-- were gone too. He would never know those stories. And that made his death all the more poignant and heartbreaking. So while my book has nothing to do with WWII or escaping Nazis, I feel that this is why stories are so important. It's stories that connect us to our past and carry us to our future. Stories are the things we treasure and the things we truly mourn when they are lost. Thanks so much for stopping by, Grace! 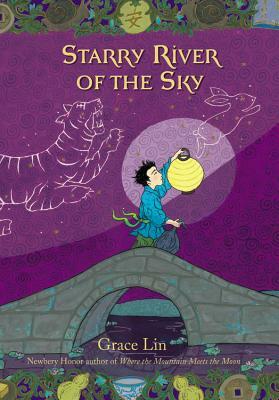 And readers, do not miss Starry River of the Sky. It is excellent, whether or not you've read Where the Mountain Meets the Moon (but why would deny yourself the pleasure of reading both of them?! ).